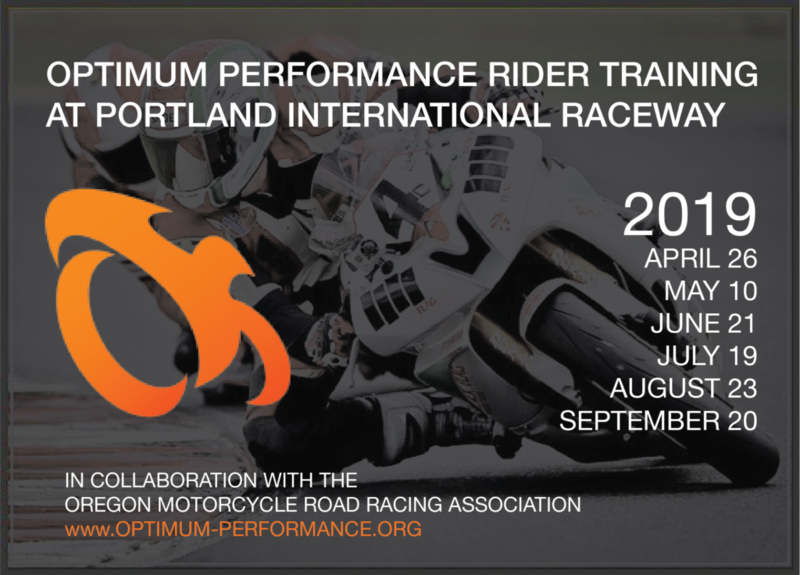 For the 2019 season OMRRA will partner with Optimum Performance Rider Training (OPRT) to offer Friday track days before all OMRRA race weekends at PIR. Go to https://optimum-performance.org for registration details and early-bird prices through February 28. Four groups each hour. All track days will have slow, medium and fast groups. In April and July the fourth group will be OMRRA New Racer School. Remaining dates (May, June, August, September) the fourth group will be Lightweight motorcycles ONLY, including Ninja 250-400, KTM RC390, Yamaha R3, SV650 and the like. All groups will be limited to no more than 35 riders. Lap time limitations will be established and policed – the Fast group is 1:15 and below. Register through https://optimum-performance.org There, through February 28, single day passes are $179 and PIR season passes are $995 ($165/day). From March 1st on the daily price is $199 and season pass availability closes. No ½ day or ½ season options, season passes non-transferrable. OMRRA racers may purchase track day season passes as part of their usual race membership process. OPRT offers a limited number of highly focused new rider instruction slots in their slow group. Price is an additional $50. Instructor ratio is either 1:1 or 2:1. OMRRA has a substantial investment in Air Fence protective barriers, and our crew sets up OPRT Fridays to the same Air Fence standard as at OMRRA race weekends. Fridays before OMRRA chicane weekends the slow, medium and lightweight groups will run the chicane, while the fast group will not – following our race approach. The chicane adds an extra 3 turns to the normal PIR layout. Make it a full weekend. Ride the OPRT track day, then come out Saturday-Sunday and help out at the OMRRA races. We’ll teach you to corner work, and you can get the best seat in the house to watch racers in the corners you just rode yourself. Reach out to [email protected] for more, or simply arrive by 7:30 AM Saturday or Sunday wearing clothing for the weather and closed toe shoes. Lunch and trophy ceremony beverages included! See you at the track in 2019 on Fridays!